THz science has recently come to a new era: field magnitude of an order of MV/cm has been reached, allowing to study THz nonlinear carrier dynamics in semiconductors, THz acceleration of electrons, electron-packet sampling and many other applications. In order to provide a robust tool for studying nonlinear THz physics and THz imaging, we developed a source of a high-field pulsed THz radiation in the range 0.5-2.5 THz. 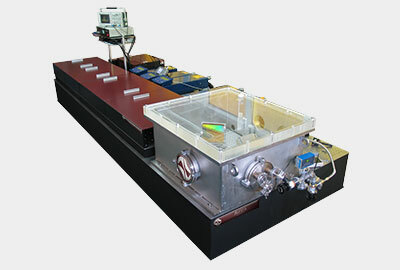 The Tera-AX generator based on phase-matched optical rectification in MgO:LiNbO3 crystal and can be used with commercial femtosecond Ti:Sapphire regenerative amplifiers such as the REUS series by AVESTA Ltd.
A modification of the Tera-AX system with a cryogenically-cooled lithium niobate crystal is also available. In the Tera-AX-Cryo version, the crystal is placed on a cold plate of a liquid-nitrogen filled cryostat. Cooling the generator crystal drastically decreases its THz absorption and allows to achieve outstanding optical-to THz conversion efficiency of up to 10-3 level and improves the long-term stability of conversion efficiency. The optical scheme of Tera-AX-Cryo is pre-adjusted for use at temperature of 93 K, but it can be easily optimized for use at room temperature. As an option, in both the Tera-AX and the Tera-AX-Cryo, a larger-aperture MgO:LiNbO3 crystal can be utilized in order to accept higher-energy optical pump pulses (we recommend this option for energies of femtosecond pump pulses higher than 2 mJ). 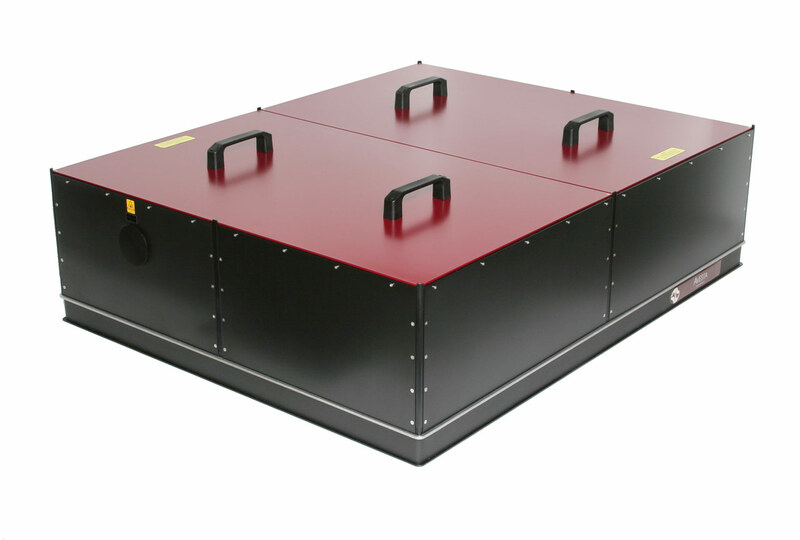 The Tera-AX or the Tera-AX-Cryo generators can either be used as stand-alone units, providing a collimated THz output beam, or as a part of a THz transmission spectrometer equipped with an electro-optical sampling detection (EO TDS). This allows to obtain the temporal profiles of THz field passing the sample under study and get the information on its complex dielectric function in range 0.5-2.5 THz. An optical pump-terahertz probe modification (OPTP) of the optical layout is available upon request. 4) Windows acquisition and analysis software. The full system is supplied on main breadboard with a cover box that can be purged with nitrogen if necessary. Note: some of the modifications and options may be combined. A: Yes, we can supply a complete system. 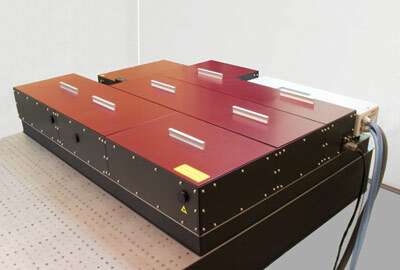 The pump laser may be chosen from the REUS family of Ti:S amplifier systems. Q: Can we use our own Ti:S amplifier as a pump source for the Tera-AX/Tera-AX-Cryo? A: Yes, you can. Please indicate the specifications/brand/model of your amplifier system with your request.